The stampede of recent events may have herded the awkward members of the Service Club into something closer to a real bonding, but the upcoming field trip to Kyoto threatens to reverse those tiny steps forward. Alongside a list of attractions to see, they'll also be taking along a lot of emotional baggage, and helping others with their personal and romantic issues may just cause the entire luggage rack to collapse. 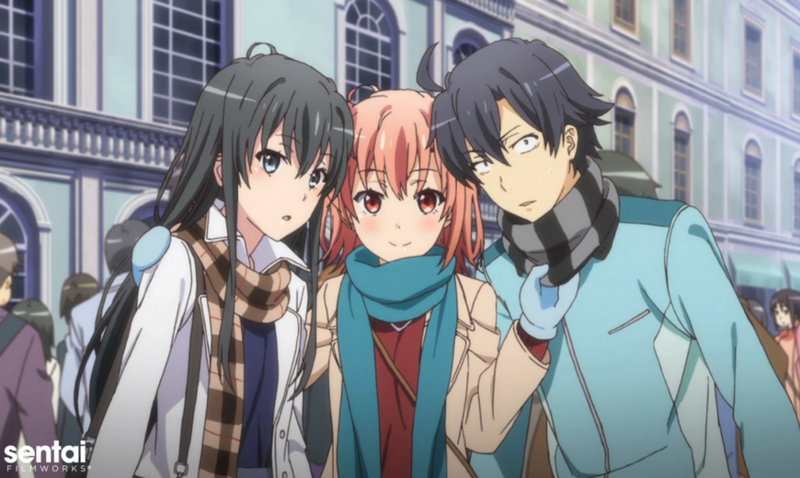 Between Hachiman's growing realization of how much he can manipulate others, Yukino's underlying battles with responsibility, and Yui's shifting needs and insecurities, the tenuous thread that holds their relationship together is more fragile than ever. Even as the path ahead is strewn with psychological traps, the feelings that each of them refuse to acknowledge may end up being the true pitfall in MY TEEN ROMANTIC COMEDY SNAFU TOO!